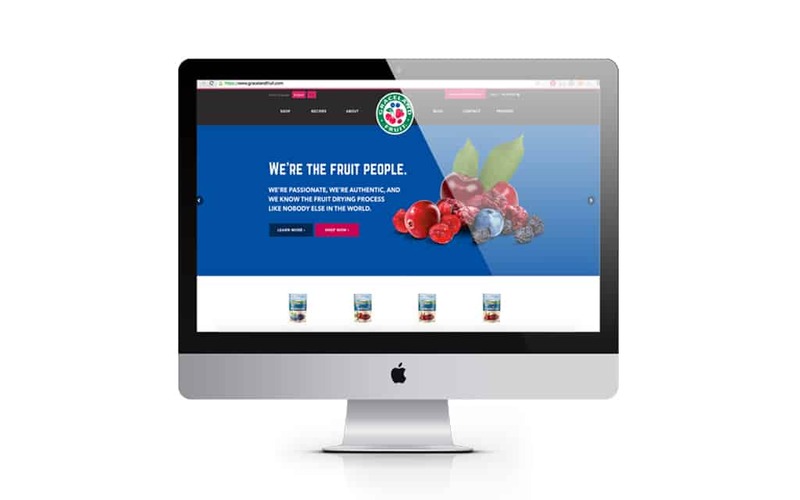 Located in the heart of America’s largest tart cherry growing region, Graceland Fruit is one of the largest single providers of infused dried fruits in the world—and when they asked us to be their creative agency in 2015 we jumped at the opportunity! We’ve been completing a variety of creative projects ever since, both big and small… one such project was this cutting edge enterprise eCommerce and B2B website. 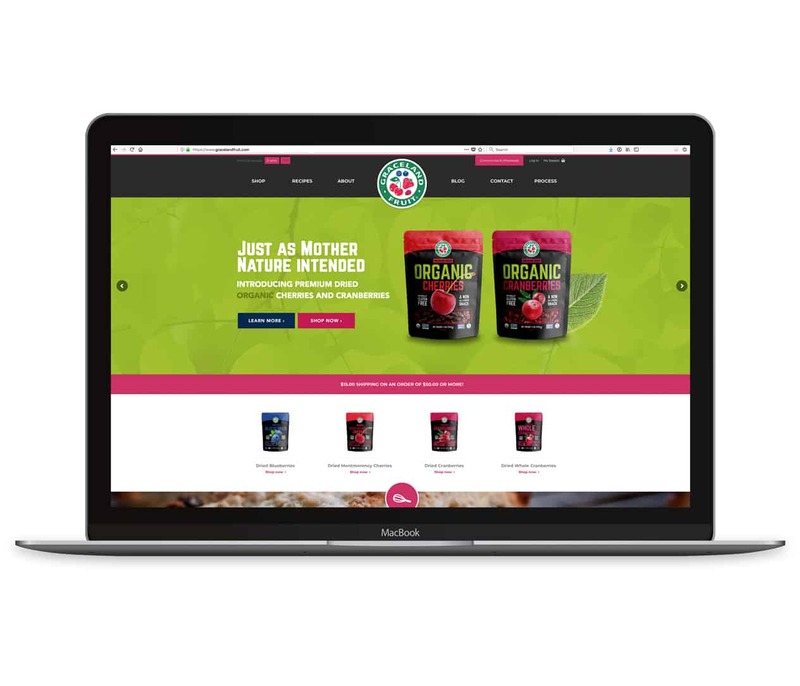 Build using Magento, GracelandFruit.com is a feature rich eCommerce website was built to deliver a great user-experience (UX) to both everyday everyday shoppers and wholesale retailers including local grocery stores and nations chain-stores. Graceland’s dried fruits are delicious, and make the perfect ingredient. This eCommerce website features a filterable recipe section that gives visitors another reason to buy Graceland’s products. You can find Graceland products on store shelves from coast-to-coast. We added a store locator to the website to ensure that shoppers are able find the closest place selling their favorite product. We designed and developed an entire area containing all the tools, information, and guidelines that commercial customers rely upon to conduct business with Graceland–it’s a website within a website! The website is also integrated with the Graceland shipping provider accounts, giving them live shipping rates for products as needed!